CM/CS Monitoring Monitoring of various modules for UADD like CM Monotring, Lok Sewa, Vidhan Sabha Question Reply Management System, CM Ghoshna Monitoring, Diary Management, etc. Release & Evaluation of EOI. 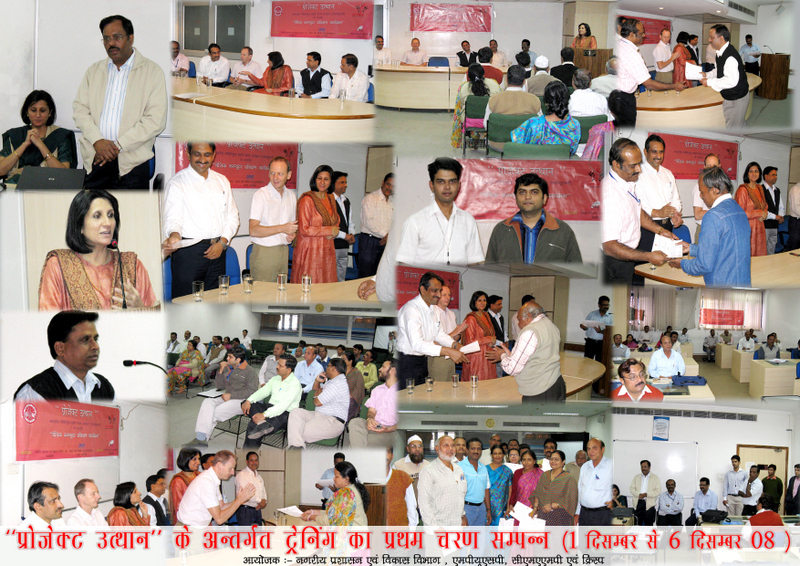 Technical Presentation of 12 Shortlisted Consultant in-person at UADD, Bhopal & via Video Conferencing. 3 Consultants finalize for preparation of Concept Plan. Preparation of Terms of Reference for Concept Plan. 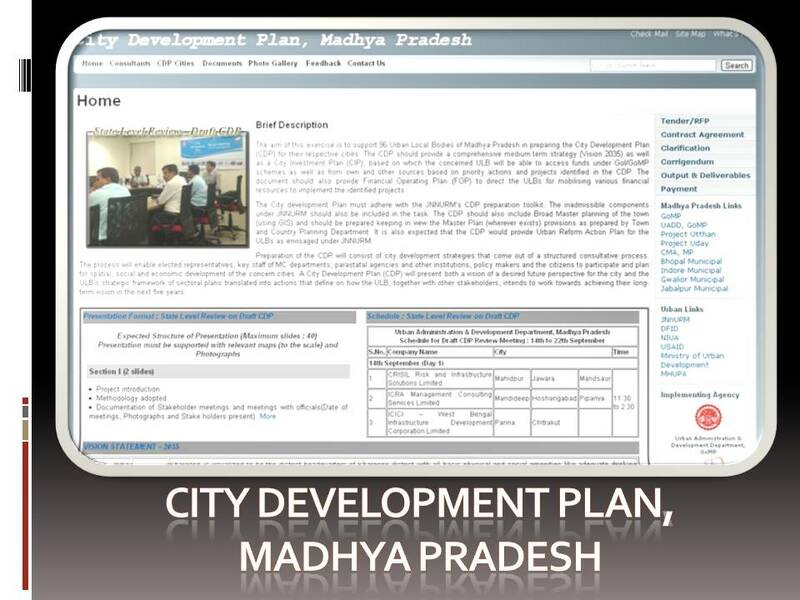 Application Software Loan Management System (LMS) Software developed to keep track of Loan allocated to all the 338 Urban Local Bodies (ULBs) of Madhya Pradesh. 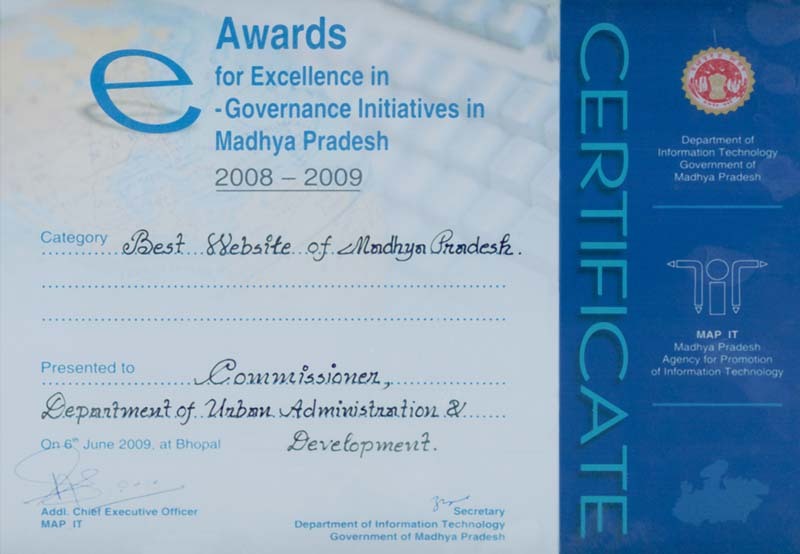 Development & Monitoring of Software & website (www.mpcdp.com) www.mpcdp.com provides a convenient means for information dissemination. 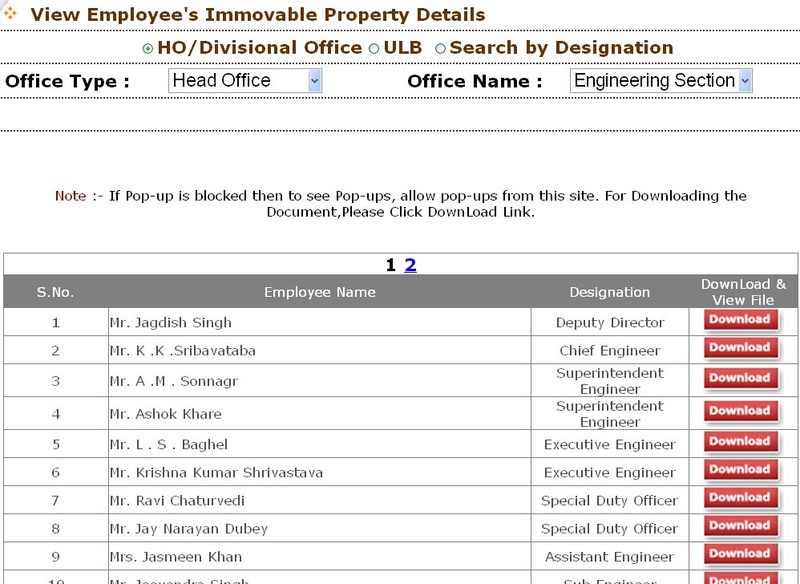 It is also helpful in monitoring the progress of Consultants preparing CDPs.